What an incredible wedding! Carolina and Justin were the sweetest couple and I feel honored to have been a part of such an important day in their lives. As soon as I met them I knew I would have a great time shooting their wedding. They have great chemistry and are both extremely personable. 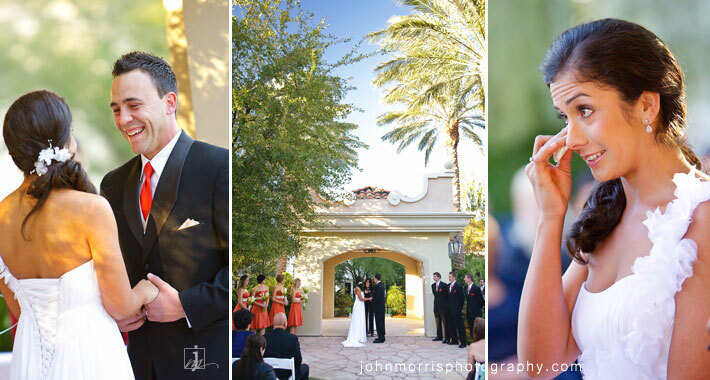 Their wedding took place at the JW Marriott in Summerlin with the ceremony being held in the Garden Gazebo, a beautiful outdoor setting that looks and feels very elegant. After the ceremony, we took a stroll around the Marriott grounds and captured some beautiful, intimate shots of the bride and groom. 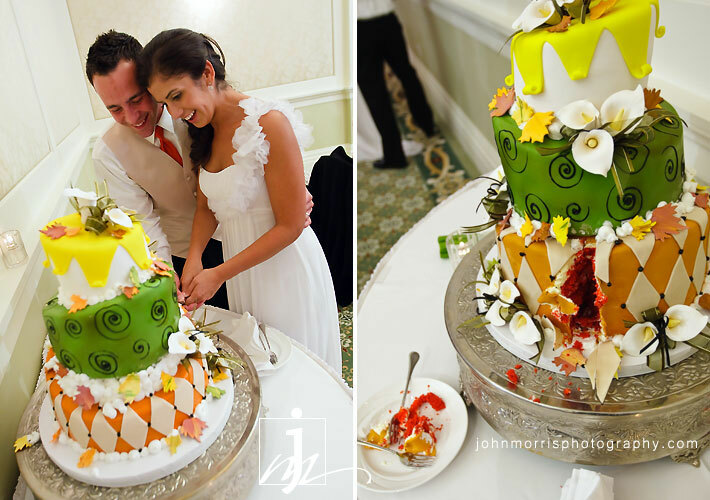 They picked such a fun and colorful wedding cake – I love it! 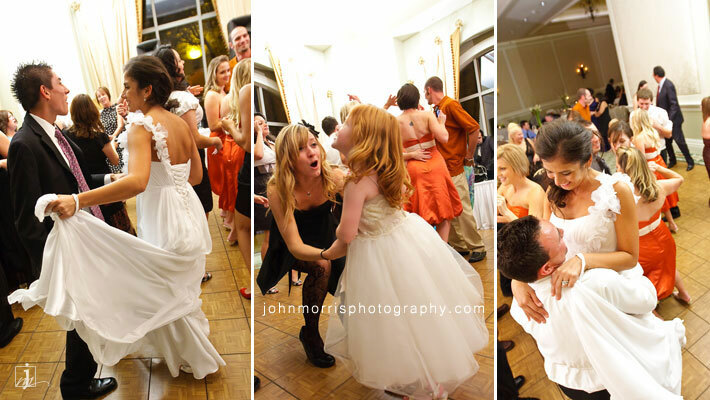 And everyone had a blast dancing the night away. 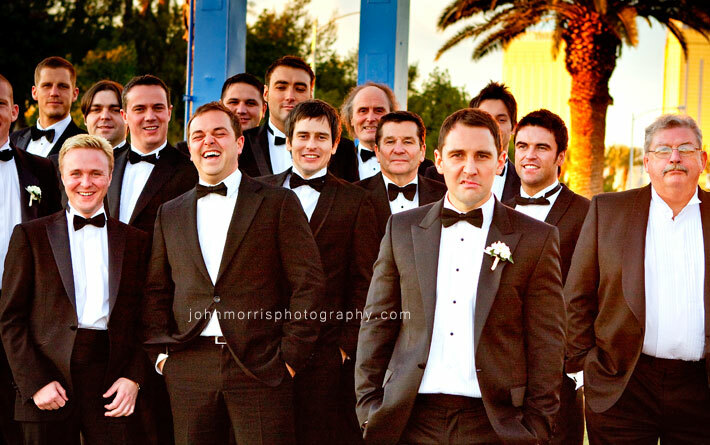 Jonathan and Jessi brought their family and mates from the UK for a fun Vegas wedding. The two of them had been here on vacation a couple of years ago and fell in love with the city. Jessi knew she wanted to get married in Las Vegas, and they both wanted to share their favorite vacation spot with their favorite people. After traveling many long miles to have a good time, they wasted no time doing just that, starting off with a tour of the strip. 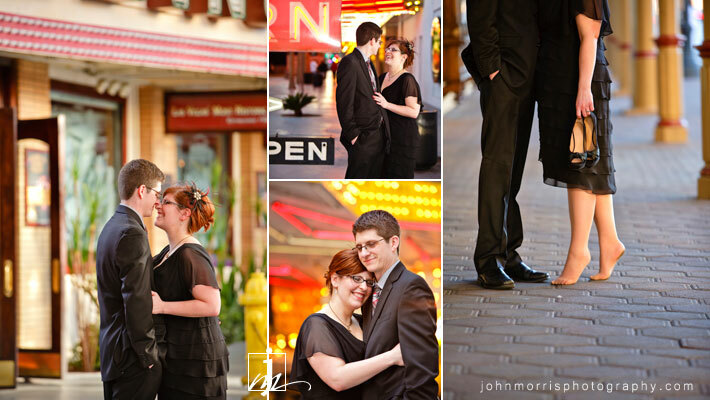 Their ceremony was held at the Bellagio Hotel and Casino in an intimate setting. As an outside photographer, I couldn’t shoot during the ceremony, but that was not a problem as we were still able to capture some amazing images around the strip afterwards. Our first stop: the famous ‘Fabulous Las Vegas’ sign. We hit the sign just in time to catch the beautiful, golden glow of an early sunset. The camera-friendly group hammed it up for some very fun and creative shots. For the reception, we made our way to the Hard Rock Hotel and Casino where we captured a few more spontaneous and downright comic images of the newlyweds. The dinner was held on the mezzanine level with a very unique setting that overlooked the entire casino floor. Everyone enjoyed the food, but the boys seemed to enjoy the spirits even more. They could probably drink most of the guys I know under the table (while still maintaining their dignity, of course). There’s nothing like some good offbeat humor for entertainment. Thanks for a great time guys. Engagement photo sessions are a great opportunity to spend some quality time with your soon to be husband or wife while getting to know your photographer. As a little side bonus, you’ll get some amazing photos of yourselves as well. 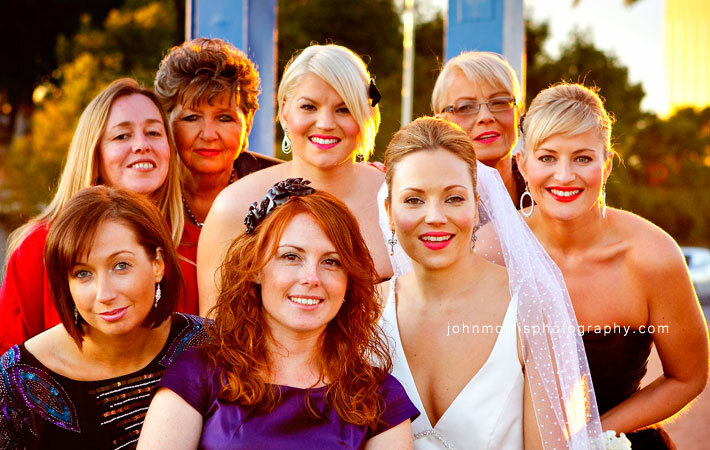 Photos from your engagement can be enlarged and displayed at your wedding, used in a guest book, or included as part of a reception slideshow. For more ideas on how to use your photos, click here to read our article on engagement sessions and learn what they are all about. If you’re interested in scheduling an engagement photo session or if you have any questions, feel free to get in touch with us. 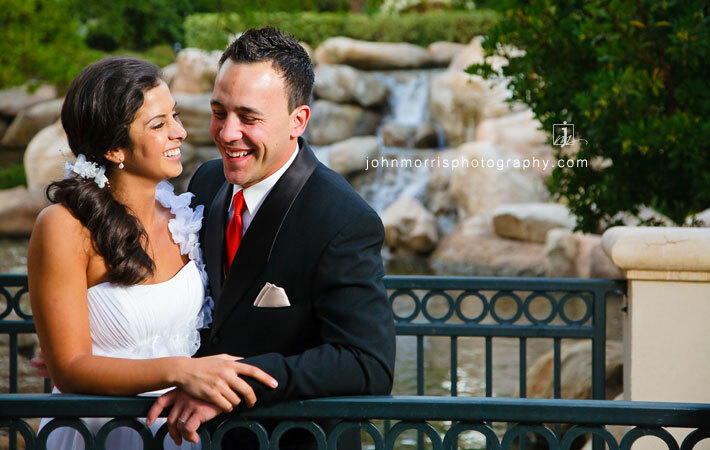 Now, the announcement we have all been waiting for… Congratulations to Jennifer S. of Las Vegas and her fiancé for being the winners of a complimentary engagement session by John Morris Photography. A big thank you to everyone who entered the contest. Stay tuned as we will be posting the photos from their session sometime in the near future.